Leading well in life can be a challenge, even at the best of times. We will enjoy great days, followed quickly by what I lovingly refer to us ‘other days’. We can create success out of nothing, yet sabotage ourselves just as easily. And the biggest of sabotages will not come from problems we cannot solve, or from people who refuse to work with us, and not even from missing out on the success we consider we deserve. The greatest of sabotage will come from ourselves and how we respond to the mistakes we make along the way. Will we cover up? Will we keep living like the other stuff hasn’t really happened? Or will we face the truth of it? These are pivotal moments. Back in my twenties when I was confronted about certain lifestyle choices I had a decision to make. Ignore it or do the right thing. I had lied, covered up, behaved badly and now it had finally caught me out. What I did was the hardest thing I had ever done, yet at the same time, it was the best thing I have ever done. I had some really difficult conversations with people I loved and asked them to forgive me. It was a journey of repentance and forgiveness which was excruciatingly painful but beautifully liberating, all at the same time. I had learned one of my best lessons and I acknowledge that without travelling this path, I may not be leading the life I now am. Be ready to repent. Be ready to ask for forgiveness. These two might be our greatest defence, helping us to keep leading well in life and to fulfil our true potential for God. Repentance breaks the hold of whatever it is that has a hold of you. Repentance disarms those things which can sabotage your God-given potential. Repentance brings the truth out in to the open where it can then be dealt with. Repentance gives God permission to get involved and to turn things around. 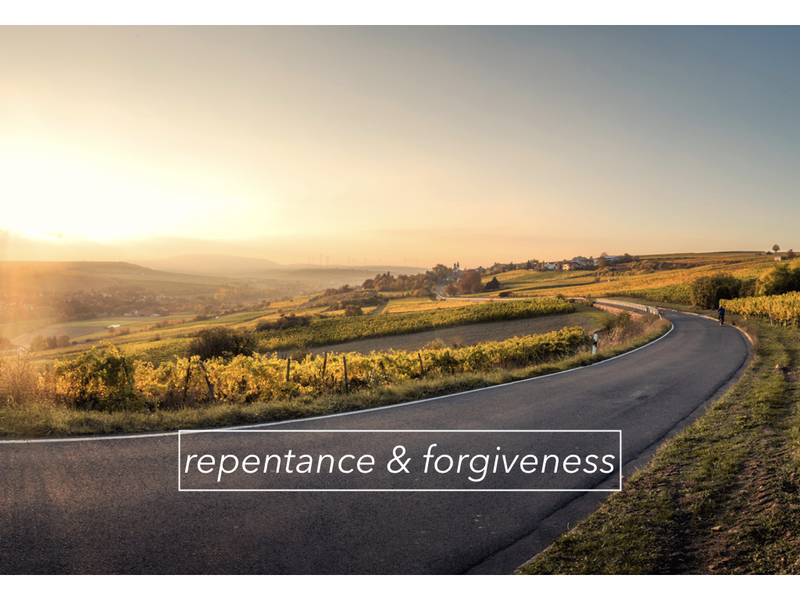 Repentance leads to forgiveness which leads to an outpouring of grace which sets you up for the future. Repentance reminds you how much God loves you and how much those closest to you love you as well. Let today be a pivotal moment kind of day. Be willing to be confronted or to confront yourself. For what and where do you need to say sorry? Who do you need to ask for forgiveness? Take the first step on this journey and don’t allow them to control you anymore.